Folding frame / buck saw - hiking version. (post). Inspired from this antique folding frame saw I bought, I decided to build my own version for hiking use. Went for a fixed blade and string for the tensioning, so I could keep the weight down. It has become a loved companion on my hammock hikes now, a pleasure to use it and a joy for the eye. 1. The folding frame saw. 3. Folded up antique and new..
4. Ready to bring it out on a hike. 5. Saw in action on a hike. Hope it can give you a reason to go hiking. ... and you are so good at joy! Wow! I love it Mads. I bet that tears through wood. 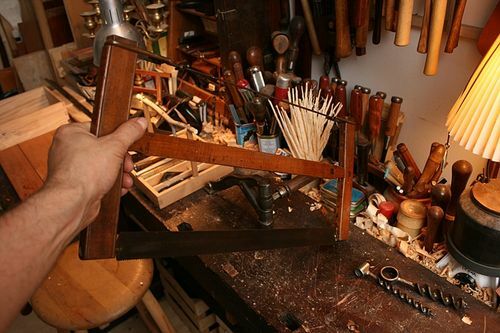 The leather handles and holder is a nice touch too and your tenons look great. 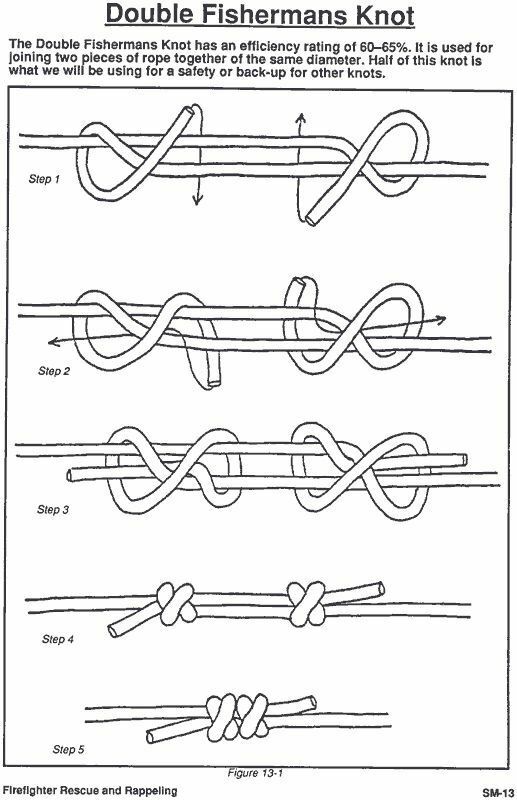 If you don’t already know it, you should learn to tie a double fisherman's knot for the string on bowsaws. It is a knot used in climbing and tightens under tension so can’t come undone no matter how much you pull on it. You can confidently cut the loose ends withing 5mm of the knot. It is best to practice it on some thicker rope to see how it works. Great set up, start to finish. Very handy to have on any trip. A job well done. Perfect! I love the utility of this idea. Well done Mads. Wow. Really nice saw.. I love your last picture! Very nice build and handy in the woods. You make such great things MADS your love for your work shows in every piece. Blessings to you my friend! tdv, big smile, I admit I love making things, happy it shows in the things I make, thanks. bondogaposis, it is my hike companion now. AJ1104, to share nature with friends is doubble the joy. Brit, it’s a lovely blade Bacho make, they make different types, so it’s possible to bring different types. Thank you for the knot update, I’ll do that. Honestly I have learned and forgotten, happens more and more now, age I suppose… :-D I’ll print it and hang it close to the frame saws, in the workshop. shipwright, smiles Paul, I agree, a joy to use and to look at, are doubble the joy. Thanks. Mafe, thanks for this gorgeous project, and for the story that comes with every project. Chris, thank you. <3 I see my shop as my sacred place, as my room of active meditation and then as a workshop. For me, my mind and work flow freely in a space were my soul feels calm and at rest, where things have a place and both work and energy can flow freely. (Does it make sense?). PaBull, thank you back, big smile here. Yes it does make COMPLETE sense Mafe….my shop is my sacred space also. I know exactly where you are coming from brother. I can be under a ton of stress and walk in my shop and after a short while, I’m in another world…one where all things are grand and stress free. Liberating and renewing to say the least. I honestly don’t know what I’d do without a workshop in my life.